Cakes! – Cupcakes, Wedding Cakes, all kinds of bespoke Cakes! Oyin has always had a passion for cake making. Like a lot of cake makers she stated off making cakes for family and friends. In 2010, she registered the business with Companies house and started making cakes part-time alongside her full-time job as a Business/Market Analyst with an oil and gas company. With her growing clientele and her desire to be her own boss, she took the plunge, resigned her job and now the world is her oyster. 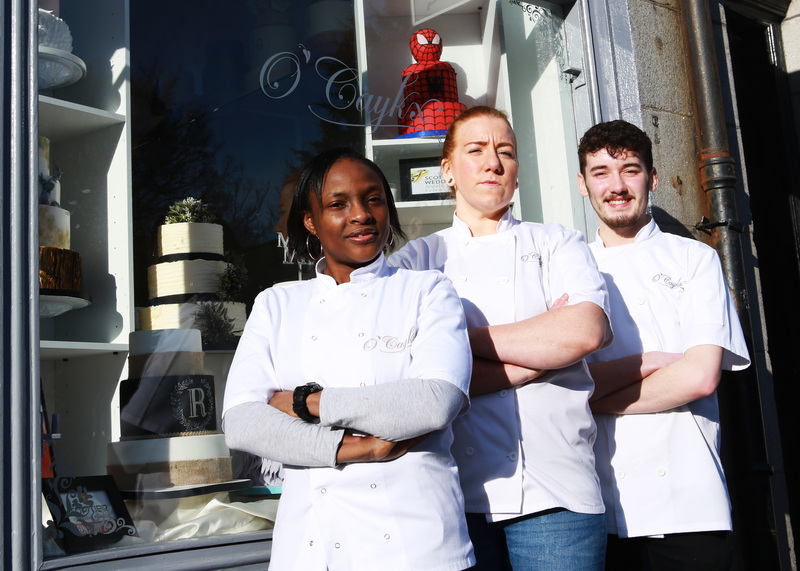 Based in Aberdeen, our Clientele range from Corporate to Individuals; producing cakes for Weddings, Corporate events, Birthdays, Anniversaries, Christenings. All of our products are freshly baked from scratch on our premises using the finest ingredients. We offer a wide range of flavours and all our cakes are designed & decorated to meet the needs of our Clients. At O’Caykx, we provide a personal, friendly and professional service from your initial consultation to delivery and set-up. We are passionate about what we do. It’s not just about cake making but being able to put smiles on people’s faces and that is why we go all out to meet the needs of our clients. We know our clients expect a high level of customer service from us, and we are committed to providing it excellently.